Months after lawmakers failed in their bid to tax short-term housing rentals such as Airbnb, the Boston City Council is set to take up the debate on whether to add regulations to the new and booming industry. At Wednesday’s City Council meeting, councilors Frank Baker and Salvatore LaMattina successfully requested a public hearing on short-term rentals. According to LaMattina, Baker, and others who spoke in support of more regulation, residents have expressed anger because Airbnb hosts can disrupt a neighborhood by introducing a revolving door of visitors. “We should all know our neighbors; that’s very important,” LaMattina said. Their request sparked a lively discussion in the council chambers, where markers were set for a spirited debate on the burgeoning business in the city’s increasingly expensive housing market. Once the hearing is scheduled, the council’s Committee on Housing and Community Development will invite industry experts and members of the public to discuss possible regulations. These councilors hope attempts to regulate short-term rentals fare better than the recent debate on Beacon Hill, which flopped after Governor Charlie Baker refused to tax the private rentals. Unlike state lawmakers, the council cannot levy a tax on the industry. But, if other cities serve as a guide, the council could enforce wide-ranging regulations. A Chicago ordinance created a registry from which hosts could be tracked across city wards. In San Francisco, Airbnb has sued the city in federal court to block new regulations, including a ban on having multiple short-term rental listings. In Boston, LaMattina and Baker stressed to their colleagues that they are “not against” Airbnb and other short-term rental companies, such as VRBO.com. However LaMattina said he is worried its growth could hamper the development of long-term and affordable housing. If investors buy multiple properties for rent at short-term rates, there is less incentive to keep costs low and to house working families, he said. “It takes away from the housing stock, and rents go up,” LaMattina has previously said. According to a 2015 Globe analysis, there were 1,496 Boston listings on the site on an August 2015 day, posted by 1,062 users. The review found that about 85 percent of the users listed a single property. The remaining 15 percent, or 158 users, listed two or more properties. “In our city, where housing is very, very expensive, wherever we’re losing permanent housing, this is a big, big issue,” the councilor said. But some councilors, such as Tito Jackson, urged him and Baker to “proceed cautiously” on the issue. 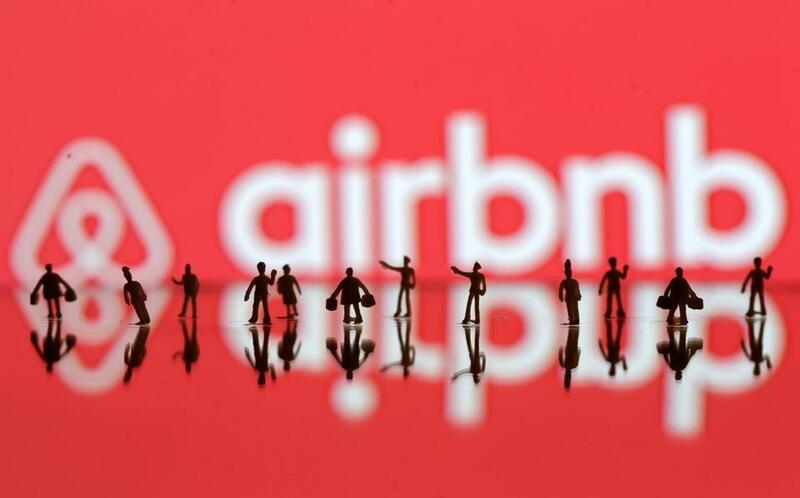 There is not an archetype of person who uses Airbnb, Jackson said, and sweeping regulations could have unintended consequences. Data released by Airbnb found that 30 percent of people who booked a stay in Boston using the site said they would not have visited the city or stayed as long as they did if Airbnb was not an option. Linehan and at-large City Councilor Ayanna Pressley said any regulation needs to look at all sides of the issue, including protecting residents who act as hosts. For many, Jackson said, short-term rentals are the type of “supplemental” income sources that city should encourage; a tool to hold on to your home during tough times. “Hopefully, we’re not choking the dollars from people who are holding on by a string,” Jackson said. Jackson also highlighted that one of Airbnb founders, Nathan Blecharczyk, graduated from Boston Latin School and attended Harvard University. “In a leading tech city, and a leading tech state, we need to be very thoughtful about how we adopt technology,” he said. Matt Rocheleau of Globe staff contributed to this story. Astead W. Herndon can be reached at astead.herndon@globe.com.